Book One of the Philip Lawson Saga. Specialist Fourth Class Philip Lawson arrives in Vietnam after re-enlisting with the promise of assignment as a helicopter door-gunner. But when he arrives in country he is assigned as a replacement to a mechanized infantry company and his dreams of action in the sky over Vietnam evaporate in a haze of red dust and sweltering humidity. Phil sets out with a youthful desire to prove not only who he is to himself, but also to earn the confidence and respect of the more experienced men around him. It’s not long before action finds him and he discovers the immense physical, psychological and mortal toll he must face to gain his comrades’ respect and quiet his own lurking fears. 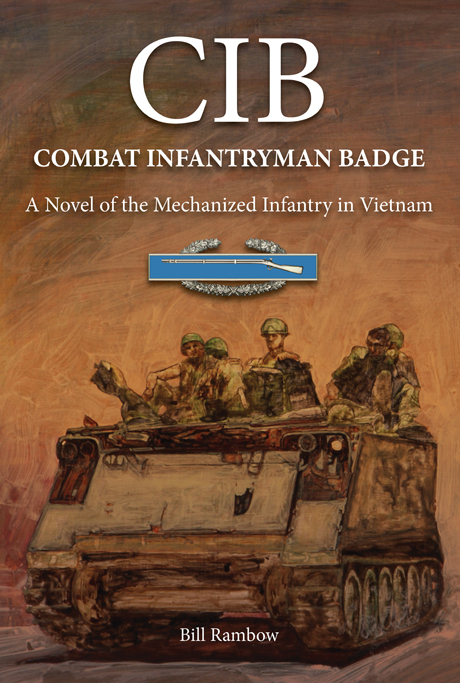 The misery and daily quest for survival are leavened by the combat soldiers’ unbreakable bond, and a cast of eccentric pets and mascots that ride the M113 “tracks” with the mechanized grunts. But further complicating Phil’s life is the unexpected arrival in the combat zone of Captain Paul Lawson, the domineering older brother whose influence he has been trying to escape for years. During his R&R in Sydney, though worried that the war may have forever hardened and brutalized him, Phil finds love and the promise of a bright new future — if he can survive his tour of duty. Ultimately he must fight alongside the hardened soldiers who will become his brothers, against an unseen and ruthless enemy to earn the coveted Combat Infantryman Badge. During the course of a 34-year career with the U.S. Customs Service, he was an Inspector at Washington Dulles International Airport, then Port Director of Alexandria, Virginia, supervising the Customs facility at Andrews AFB for the last twenty years before his retirement in 2004.